For centuries, Western artistic conventions for depicting infants drew heavily on the Christian typology of the Madonna and child. Even popular secular images of babies often featured poses and compositions similar to those gracing many a European church wall. Twentieth century pieces challenging the notion of whiteness as the norm, as shown in Romare Bearden’s 1971 “Mother and Child,” still used recognizable depictions of human bodies and classic poses to effect social commentary. Today, street art from Miami to The Mission District has jettisoned the old tropes for depicting infants. Gone is the sweet babe of yore and gonzo is the babe of today. These babies are of another ilk altogether: Many appear to have been conjured out of an artificial womb after CRISPR-Cas9 editing or some transhumanist tinkering that give them machine body parts in place of human ones. What is up with these outsized, precocious, pugnacious creatures? At first, one might suppose they are merely part and parcel of the transgressive nature of street art. Encountering diapered bambini as tattooed, cigarette-Bogarting dice players on a Wichita Falls wall elicits the intended cognitive dissonance. These are babies doing things babies shouldn’t do, just like the artists who “get up” (though Jon Grim says this doesn’t happen so much anymore; back in the day, graffiti writers generated “real respect” instead of just posting to their Instagram account). But to my mind, there is something else afoot, and it has to do with a concept known as “domestication,” which comes out of the sociology of science and media studies. According to domestication theory, new technologies are often "tamed" through popular media and, in the process, become more widely acceptable to the public. Street art renderings of human babies as zoo-colored (hues not normally found in nature), outsized, muscled, and resembling spaceship aliens or chimeras are, I think, a kind of domestication of genetically engineered and even bionic babies. Just as artist Eduardo Kac meant for his glow-in-the-dark “GFP-Bunny” to “[highlight] the fact that transgenic animals are regular creatures that are as much part of social life as any other life form,” street art babies with unnatural traits accommodate people to what many advocates of germline alterations have claimed as an inevitability: designer babies. 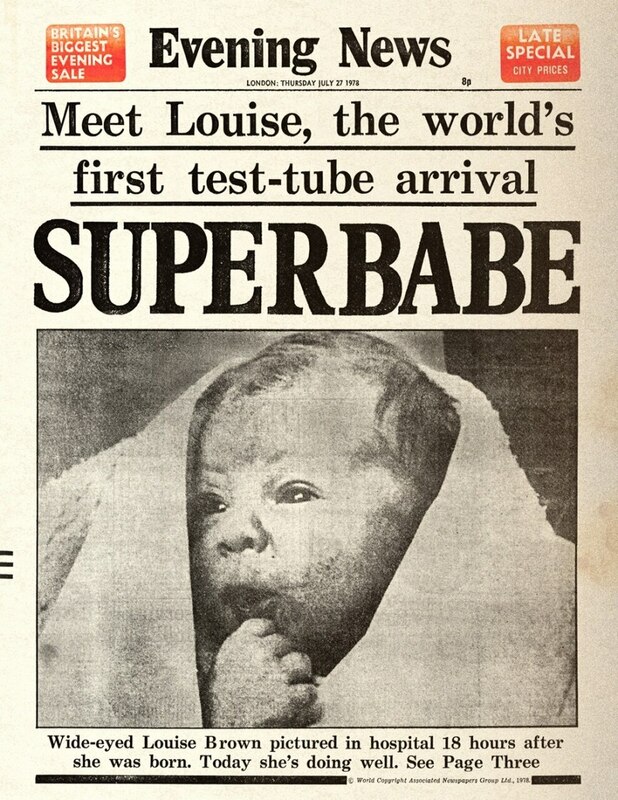 From its inception, IVF has been touted as producing babies somehow better than “normal”: Louise Brown was, in fact, dubbed Superbabe by more than one media outlet. 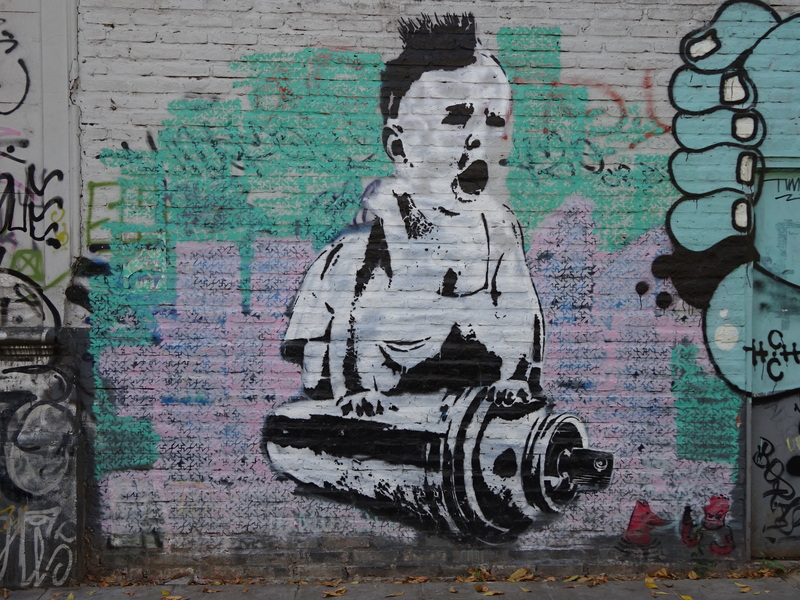 Knowingly or not, street artists continue the process by which assisted reproductive technologies and practices become less threatening, more desirable, and even superior to natural conception. Stripping babies from mothers, endowing them with adult-like agency, casting them as subverters of norms, such portrayals soften us up for a brave new future, in which traits are selected, fetal development happens in mega zip-lock bags, and couture chartreuse clones are all the rage.